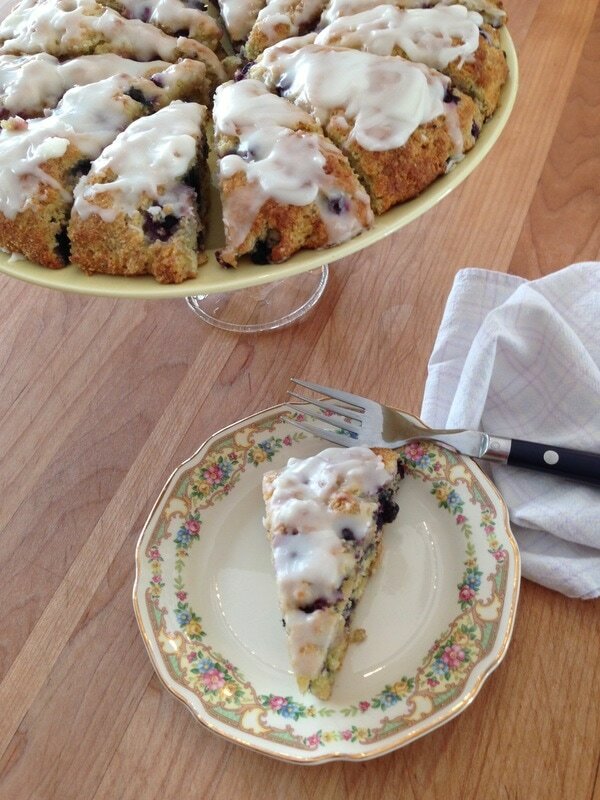 Along with our Savory Breakfast, we always serve either a moist and tender Scone, Muffin, or a delicious Breakfast Bread. Homemade Chocolate Chip Cookies in your room each night. 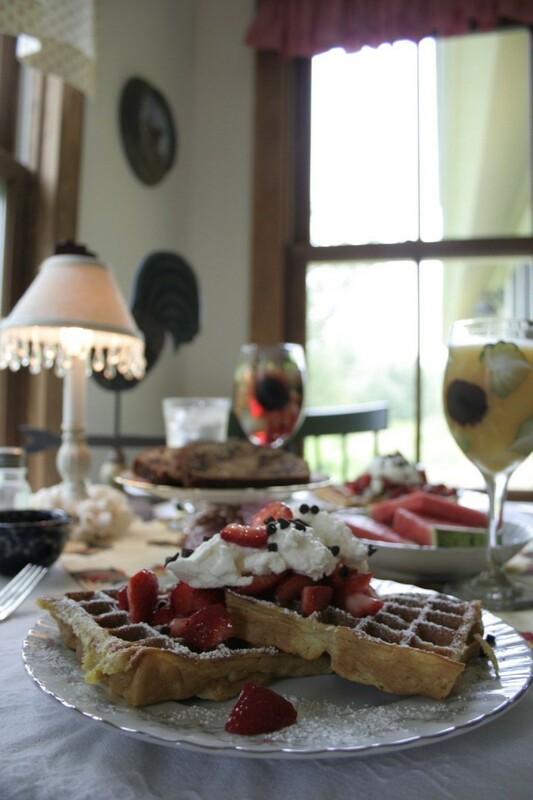 A full breakfast is served at 8:30 each morning. One morning might be Belgian Waffles with Berries and whipped cream...the next morning may be a rich and satisfying Egg Strata. 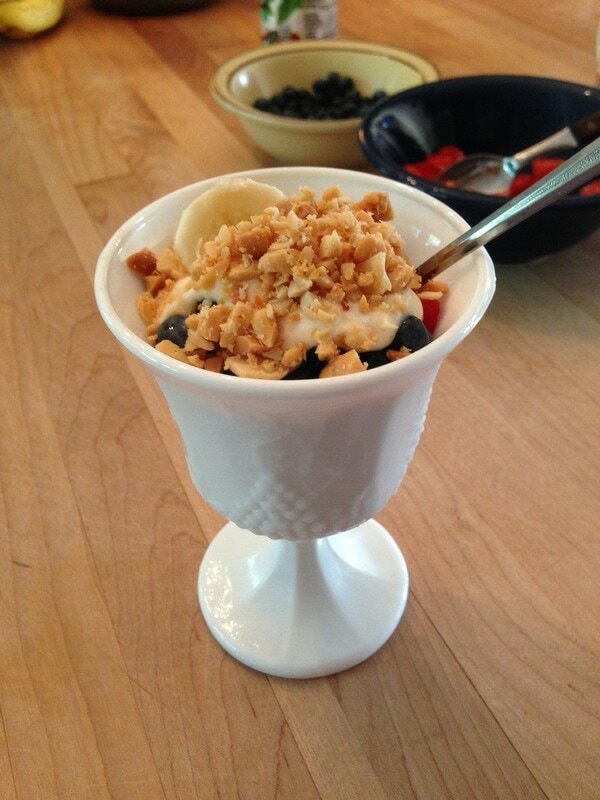 To start your breakfast, we serve a fruit parfait, yogurt with homemade granola, fruit crisp, or a warm dish of baked oatmeal with fruit and yogurt.